We didn’t have helmets. Players’ reactions had to be better. We watched the ball better – it was the natural instinct to survive. When you don’t have a helmet, you won’t hook in front of your face. You will step inside the line and hook. I got hit on the nose while trying to hook in club cricket. When I started playing, cricket was very much an amateur sport. The engagements Ceylon got against international sides happened when, for example, England were travelling to Australia. They would stop and play a game. India and Pakistan also gave us games quite regularly. I can put my feet up now but I don’t wish to do that. I will probably get involved with a bit of coaching. I would love to coach my old school team. Sri Lankan cricket’s proudest moment was the World Cup final in 1996. I was witness to it in Lahore. The PCB invited me. It was a dream come true. That really put us on the map and also helped our administration, because we became more of a marketable team. Tennekoon & Ronnie Reid in March 2011 –Pic by Michael Roberts. 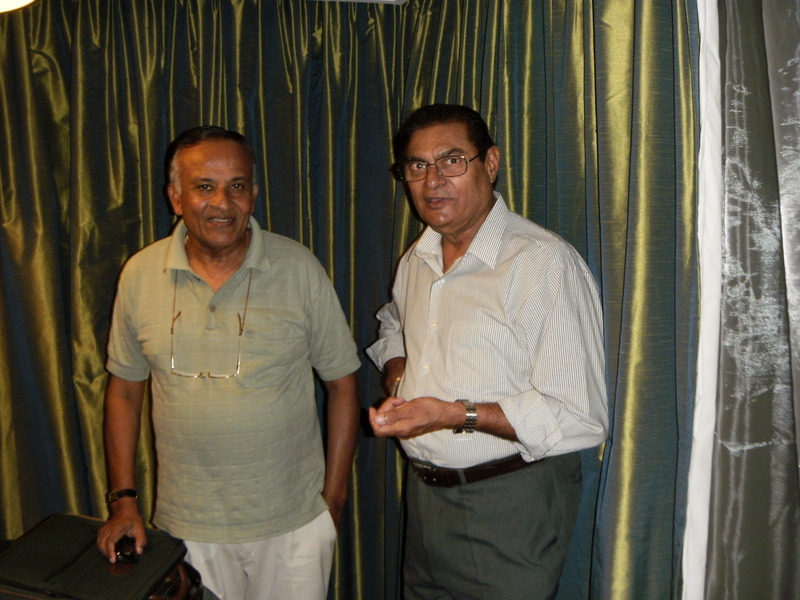 An exemplary batsman for S. Thomas College, Ronnie Reid played for Ceylon in the 1960s, but was lost to the cricket world when his firm, in its infinite wisdom, posted him to Trinco. His younger brother Buddy, however, kept family and Thomian colours aloft for country — and yes as an opening batsman too. In the ’70s, the ICC was keeping an eye on us to see if we were good enough to be Full Members, so our games became more important. We used to play four-day games against visiting sides. Those were unofficial Tests. It was important that we did well in order to stake a claim for full membership. We were under some pressure, because in every game we had to prove ourselves, and we used to get a game once a year or so. We kept improving and we became more competitive. The situation in Sri Lanka is rather peculiar because most of the job opportunities lie in Colombo. Most of the outstations don’t have job opportunities. That includes cricket. 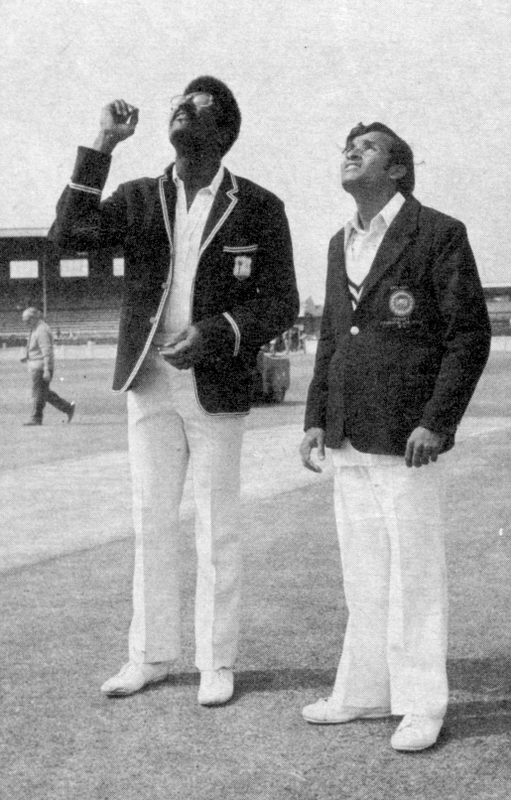 At the first World Cup in 1975, Sri Lankan fans thought we were going to make a big impact, even though we were amateurs playing against professionals. But in the first game we were bundled out for 86 by West Indies on a green wicket in Manchester. It was a quite a baptism by fire. No one gave us a chance in the second match, against Australia. We were chasing over 300 and there came a point where things became quite tricky for Australia. We were up with the run rate and there were two batsmen going well. 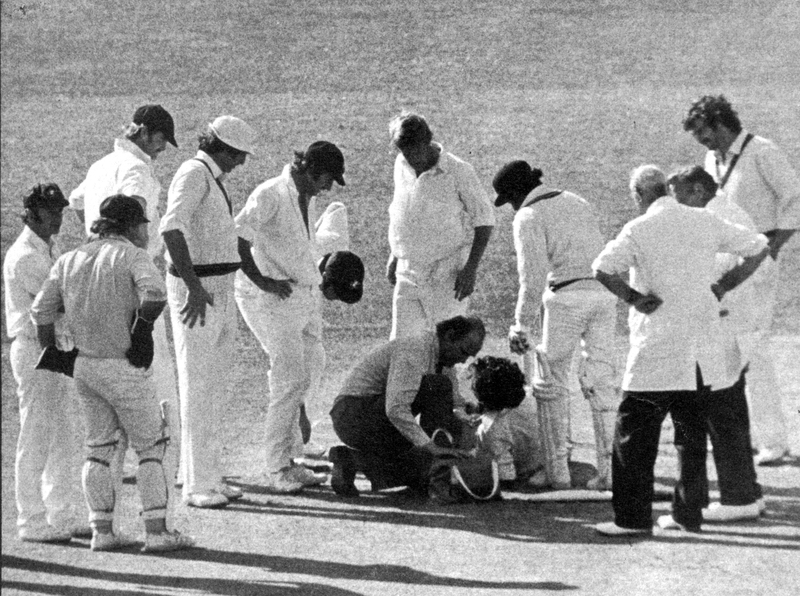 Jeff Thomson, who was a very scary bowler, knocked one fellow’s head off and the other batsman got hit on the instep, and both had to be hospitalised. Had it not been for those two injuries, we’d have got closer to the target. From that performance, people realised we can play some cricket. After the 1979 World Cup, I hung up my boots. Had I continued too long in cricket, I would have lost out on job opportunities and going up the ladder, so I took the decision. I had two young kids as well. 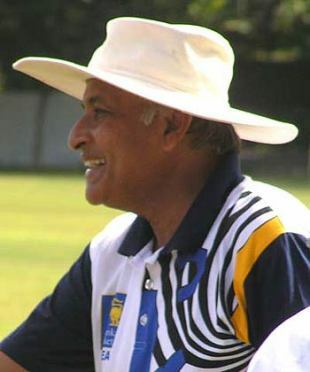 Mike Smith captained the MCC in the first match I played, in 1965. They had players like Colin Cowdrey in that team. I played in the Royal-Thomian Test match for five years, since I was 15. I was in the first side from my first year at high school. We used to get very good responses from crowds for schools and club cricket in my day. Sri Lanka’s victory over India at the 1979 World Cup made the cricketing authorities realise that we could compete at international level. I was injured for that game but I really enjoyed watching it from the change room. I worked as a marketing executive for a tobacco company for 26 years. When I finished that job, I assumed duties as the chief executive of the cricket foundation. Thomson was the most difficult bowler I faced. He used to bowl 90mph and had this action where he used to sling it from behind his back. If you didn’t pick him early, you would struggle. 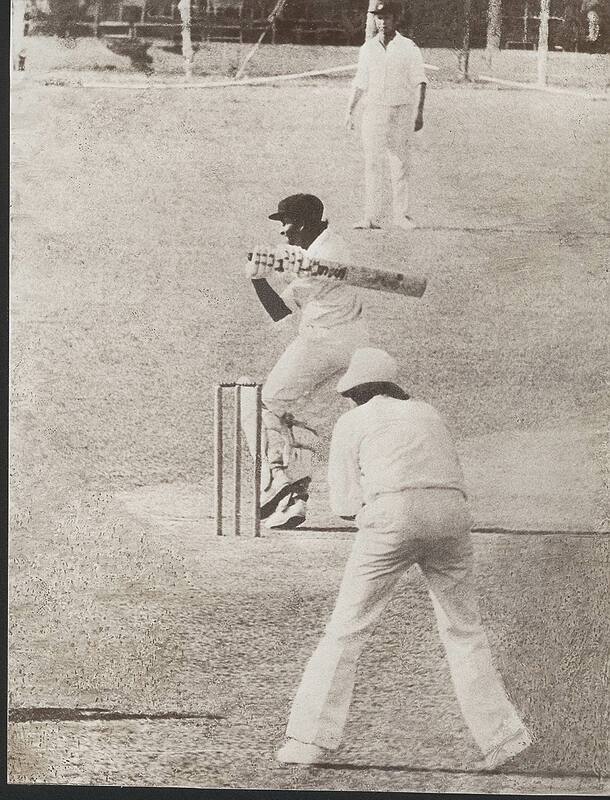 The first over I played off him was in 1975, at the World Cup, and I only saw the ball whizzing past my head. 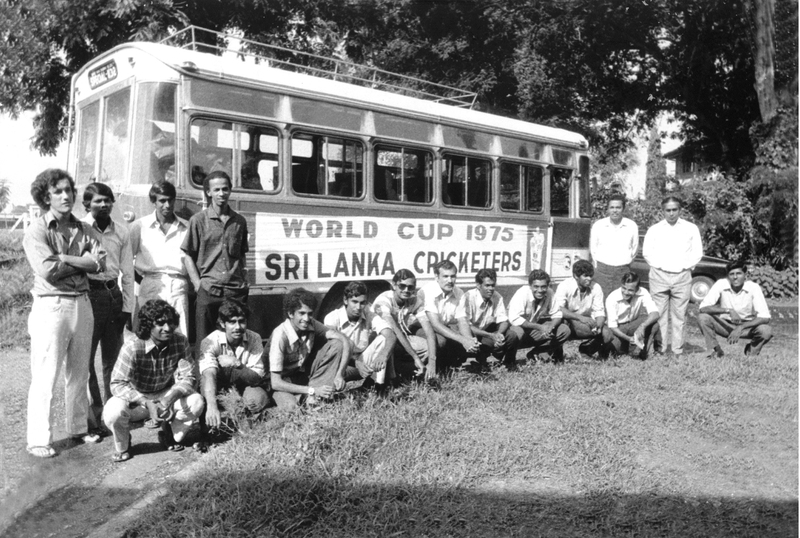 Sri Lanka were awarded Test status in 1981. I had a little bit of regret that I had retired, because I knew I had come so close. But I made the decision based on the prevailing conditions. You make the decision and then you live with it. We used to conduct coaching clinics in the outstation areas. We used to get talented players and give them scholarships to come down to Colombo once a month and get trained. We also provided them with equipment. Three players got into the national side through that scheme – Malinga Bandara, Chamara Silva and now Tharanga Paranavitana. Sri Lanka’s rebel tour to South Africa was taken very seriously at home because the government did not support the apartheid policies. When those guys left on their own, they were taken to task. They were banned. I wasn’t approached – they probably didn’t have faith in me, thinking I would let the cat out of the bag. I didn’t like it. You have some sympathy for the guys. They were amateurs and they knew once they finished playing cricket for Sri Lanka, they wouldn’t have much to fall back on because they had sacrificed their jobs by devoting time to cricket. There are more results than draws these days. That’s mainly due to people playing more limited-overs cricket than Test cricket, and they don’t have the staying power and the technique when it comes to Test cricket. We have always had a club cricket structure in Sri Lanka. That was the way we nurtured our cricketers. We also have a very good school cricket structure. Children get a good grounding in the game. I’m not sure I would have played 20-over cricket. It is really not the cricket. The cricket is Test cricket, where your skills, temperament, everything is tested to the full. There is no substitute for Test cricket to judge a person’s skills. We’ve got a lot of good young players. It’s a matter of nurturing them and getting them properly trained and giving them the disciplines in life that are required to hit the top in international sport. Unless you train hard and discipline yourself, it’s very hard to play at the international level. Wish we had more people like Anura Tennekoon to run our cricket!! !